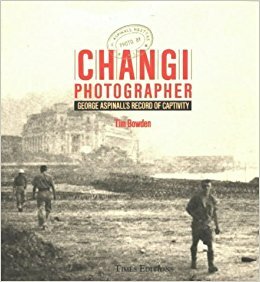 Even before he became a prisoner-of-war of the Japanese in Singapore in 1942, George Aspinall was nicknamed ‘Changi’ Aspinall by his 2/30th Battalion mates. At lights-out time in Birdwood Camp, this teenaged Australian soldier was invariably ‘down at Changi Village’ helping to process photographs he had taken with a hidden camera of his friends in their new and exotic tropical surroundings. After captivity that hobby became a private obsession that saw George not only taken secret photographs in the Changi area, but up on the appalling Thai/Burma Railway. He not only took photographs at great personal risk, but actually processed them on the spot, using chemicals smuggled in medicine bottles from Singapore. The ingenuity and resourcefulness of this young Australian private soldier have resulted in a unique visual diary of captivity. Originally published in 1984, this remarkable story with its graphic photographs has never been out of print since George Aspinall told his story to author and historian Tim Bowden. Now recognised as a classic, this book has been widely praised. "The words, Aspinall’s own, recorded with great skill by Bowden are vital to the pictures. The story is told with understatement and economy of words... a deeply moving account." "the recollections and observations of an ordinary man, are more dramatic than any "official" history could hope to be." "...records with a poignancy that cannot be equalled by words along... it is a splendid, unique collection, a mute tribute to the courage and ingenuity of a teenage amateur, who tackled successfully problems to daunt the professional, often in the face of mortal peril." Note - customers do not pay GST on the product price if it is shipped overseas.For this book alone, it is AU$15 via international airmail (7-28 working days) and AU$30 for courier (3-6 working days).